Who do you think you are kidding Mr Kipling? Over at SecondsOut.com, the first barely audible whispers of a potential third bout between Danny Williams and Matt Skelton are being heard. According to the newly svelte Williams, a rubber match with Skelton will hopefully precede a second shot at one of the four major belt holders. Now where have I heard that line before? The pre-fight line from Frank Warren ahead of most of the Harrison-Williams-Sprott-Skelton fights is to suggest the victor will progress on to a shot at the world title. Usually, of the four, the WBA belt, held by Nicolay Valuev at the time, was the belt of choice. Presumably because he was the fighter looking for opponents of limited risk as he stuttered toward Marciano’s pristine 49-0 ledger. Valuev was, as they all are, beaten. Chagaev’s victory changed the landscape. Still, the claims of world-title shots for the victors in the heavyweight tournament continued to be espoused by Warren. Only a soporific performance by Michael Sprott – delivering the most inexplicable performance since, well since Harrison walked backward to defeat against Williams – brought an end to the much worn claim. Or did it? Despite victory, Skelton’s stock dropped further. Warren happy to suggest Skelton couldn’t expect a shot at the title following such a drab performance. It was hard not to sympathise with the Bedford ‘Bear’, he was, after all, the only guy trying to have a fight. Warren’s statement is also pretty paradoxical. Would an emphatic, enthralling victory make Skelton easier to match for a belt? I suspect the ensuing and inevitable reluctance of the champions would have provided a similarly available side door too. Interest in the quartet is probably at an all time low, despite their round robin fulfilling British fight fans usual craving for British fighters to fight each other. The whole series, save the knockout of Harrison by Reading’s Michael Sprott, has been a morbid collection of contests and failed to project any of the protagonists as the leading competitor of the group. In short, they’re all much of a muchness. But now just a few weeks on from the full stop Warren placed on the whole ‘world-title’ charade, we find ourselves back at the beginning; expecting Williams v Skelton and being promised a world-title shot for the winner. Although this time its coming from Williams, will anyone fall for the same propaganda again? Click here to read the SecondsOut article. Now enough of that, increasingly these days I question the point of meaningless “gimmie” wins on under cards for established fighters. Nice to see you here KG, I wouldn’t be surprised by anthing this bunch do now. I think Audley would need a win, any win, to be legitimatley put in with Skelton. I see you still cannot stop calling him Skeleton. 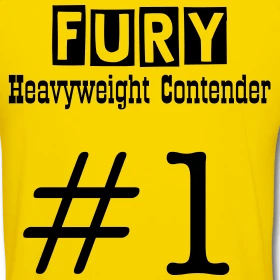 Yeah next fights gonna be for the world title………..
Get Audley in with Skeleton, Audley KO in 7, no? I disagree that Skelton was the only one trying to have a fight against Sprott, to be honest. Skelton was awfull aswell – for the early rounds stood back catching shots on his arms and gloves but not achieving a lot, and later on just rushing Michael to the ropes now and then. I like both, by the way, and was actually looking forward to the fight. If Williams turns up in shape, I believe he can beat Skelton again. That wont be enough to secure a world title shot, but may get him towards what I believe should be his target – a second EBU title shot.